I am a huge believer in my fanny pack. I have even written an article to enlighten everyone as to why fanny packs are a genius idea at the Parks. I was recently given an alternative option to a fanny pack called Bandi Bands by Bandi Wear. I have to admit, I fell in love. 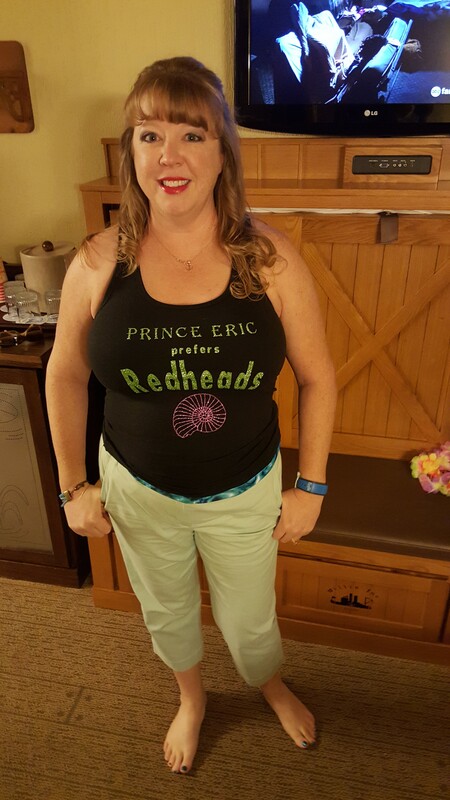 Bandi Wear gives a stylish alternative to Disney goers that wear fanny packs! The turquoise, patterned belt you see is, in fact, the Bandi band! It is super fashionable and looks more like a belt or sash that a fanny pack. I loved that it holds the essentials like cards, lipstick and my phone. It doesn’t allow me to bring excess stuff to the Parks that I don’t need. It also gives me an out when people ask me to hold stuff for them but I don’t really want to. I am not saying it’s the only way to go at the Parks. Sometimes, you need to bring more with you than the Bandi Band will hold. This is exclusively for when you want to bring the minimal items with you and be stylish at the same time. These are perfect, however, to avoid the security line! I didn’t have a bag to get checked and I kept using the no bag line! That was sweet! These can also be used by runners and for people traveling! I know that I used a similar type idea when I went to Europe a couple of years ago and this would totally have worked… and been better! These Bandi Bands come in different sizes as well as a multitude of different patterns. I even found some on amazon on sale! They were even more inexpensive than on the actual website! You can compare them for yourself. What do you think of these Bandi bands? Will you check them out?? Let us know what you think in the comment box below!